In the past 24 hours, the cryptocurrency market added $7 billion to its valuation as Bitcoin and Ethereum rebounded by around five percent. 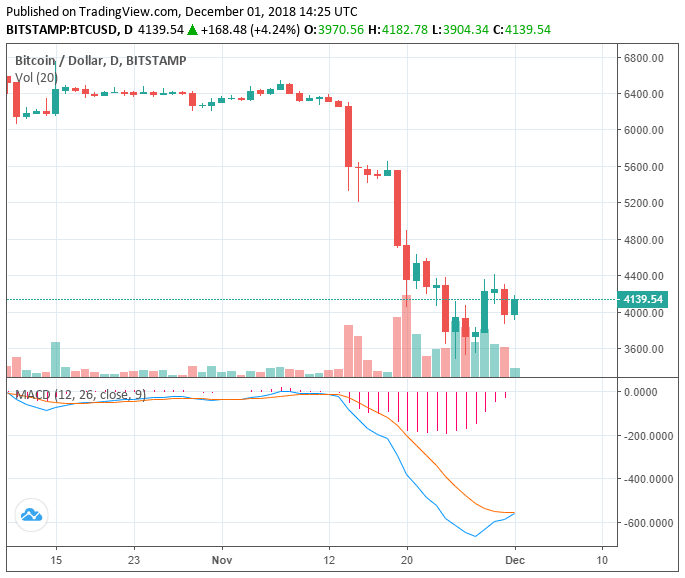 Bitcoin (BTC) successfully defended a relatively weak support level at $4,000 with strength and Ethereum (ETH) prevented a further drop below the $110 level. However, based on the level of the momentum of major cryptocurrencies throughout the past several days, if the dominant cryptocurrency does not cleanly breakout of the $4,000 to $4,200 range, a short-term drop to the mid-$3,000 region still remains a possibility. Where Bitcoin and Ethereum Go Next? Bitcoin and Ethereum remain as the only two cryptocurrencies to hold a strong daily trading volume. As of December 1, the daily volume of BTC hovers at around $5.5 billion, while that of ETH is stable at $2 billion. The daily volume of ETH is larger than the daily volume of Ripple (XRP), Bitcoin Cash (BCH), and Stellar (XLM) combined. Several reports released in the past month have shown that the recent sell-off of ETH was not hugely affected by the liquidation of ETH by initial coin offering (ICO) projects. The high daily volume of ETH and BTC suggest that the two cryptocurrencies are not free falling with low sell-pressure, unlike the majority of major cryptocurrencies and small market cap cryptocurrencies in the market. The danger and the risk of trading low volume cryptocurrencies in a highly volatile period is that if sell orders hit the market, digital assets with low volume will be the first to fall by a significant margin. 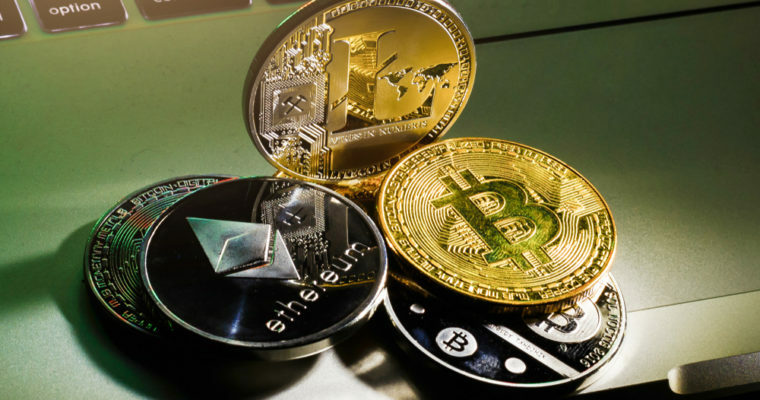 A high daily volume is also what allowed BTC and ETH to recover by more than five percent in the past 24 hours while XRP and BCH demonstrated a daily increase in price in the range of 1.5 percent to 3 percent. If BTC and ETH can breakout cleanly above major resistance levels, which are estimated to be $4,300 for BTC and $120 for ETH, then the two cryptocurrencies could lead the market through a strong short-term rally. But, if the two assets continue failing in breaking out of their respective resistance levels, it will be challenging for the market to see a major upward price break. Joseph Todaro, a managing partner Blocktown Cap, reported that the Ethereum blockchain network is settling $500 million in daily transaction volume from 600,000 daily transactions, and virtually every emerging decentralized application (dApp) or project is being built on Ethereum. “$500 mil daily transaction volume, 600,000 daily transactions, 1/3 reduction in issuance Q1, ETH locked up keeps growing (ie dai), down 92%, absolutely terrible press, basically anything of interest is built on ETH,” Todaro said.